We dined last night at the Casino before attending the musical "Hair Spray". 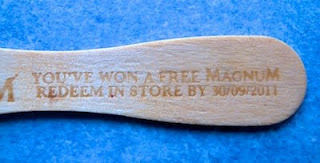 I do not have the gambling gene but am pleased to report a significant win on the night in the form of an ice-cream. My daughter went and claimed the prise and when she finished the free ice-cream it also had a free voucher stick! Who says you can't win at the casino.